Police are reportedly looking into the possibility Lil Peep took fentanyl-laced drugs before his death as they reveal they’re treating the tragedy as a ‘criminal investigation’. Officers in Arizona already revealed investigators are ‘on the hunt’ after receiving ‘multiple tips’, TMZ reported. 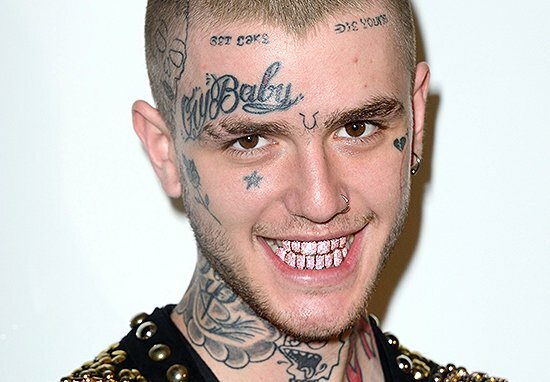 A police report revealed Lil Peep died in his sleep just hours before he was due to go on stage on November 15. The 21-year-old’s cause of death was deemed a drug overdose but official toxicology results typically take between six and eight weeks to be returned. The rapper’s brother Oskar, explained to People the family were told ‘laced pills’ may have contributed to Peeps’s death. We [the family] have heard there was some sort of substance he did not expect to be involved in the substance he was taking. He thought he could take what he did, but he had been given something and he didn’t realise what it was. It makes me laugh to think about the days we watched WWE together but [Peep] mentioned how being a hip-hop artist is like being a pro-wrestling character. You have to be an actor. He gets paid to be sad. It’s what he made his name on. It’s what his image was in a sense. He was so proud when he heard that there were people in the world who wanted to kill themselves, and then they didn’t because they listened to his music. He was helping people, he was not somebody who needed help. He was not as sad as people think he was. It’s frustrating as someone who remembers a happy brother. Oskar said Peep ‘had a much healthier relationship with drugs’ before his career started taking off. [Early on] he didn’t drink alcohol, for example. I can guarantee [drugs are] not something that would’ve been a part of his life if he was not a part of that specific culture. Not only was he a part of it, he’ll be remembered for making waves in it.